In a public company environment, management takes budgeting and monthly variance reviews for granted. Senior management reports its earnings outlook to the analyst community and then manage activities to meet those earnings expectations. These disciplines are often lacking in private mid-size companies and are even more often lacking in troubled companies. In fact, that is often one reason a company is troubled. Budgeting and variance reporting are all intended to force management accountability and results. Without those disciplines you get “drift”. In addition to being used to manage toward profit goals, budgeting and the subsequent variance reports are useful in strengthening a company’s system of internal accounting controls. Often during variance review meetings accounting errors pop up as variances when comparing actual results to budgeted expectations. 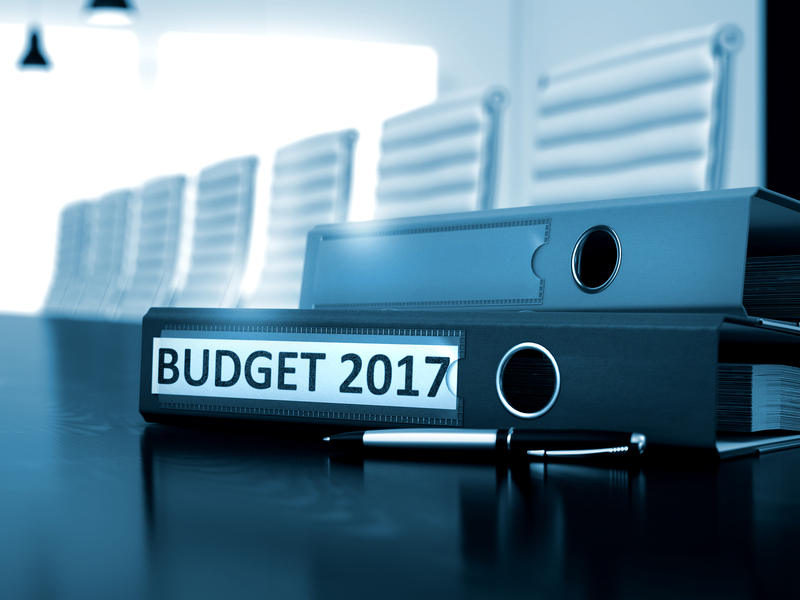 When we refer to a company’s budget we are referring to a frozen annual budget that is established before the start of a fiscal year. Typically, management prepares this in the last quarter of the prior fiscal year and presents it to the Board before the start of the new year for approval. All management authority rests with a Board and in approving a budget the Board is delegating to management the “general” authority to run the business within the context of the approved budget. (This assumes the Board has already approved the Strategic Plan for the upcoming year.) Without approval of the annual budget management essentially has no delegated general authorities. The budget also sets the Board’s year-end profit expectations for the management team. Management must view the budget as a sort of contract with the Board. Management can’t exceed spending limits beyond certain pre-approved thresholds without getting specific approval from the Board. And the Board has every right to expect the profit goals to be met. That is why the budget is a “frozen” annual budget. If it kept getting revised, it would be like a moving target that management could manipulate every time the profit targets prove to be challenging. How should profit targets be set? That would depend on a variety of trends, including the state of the economy, the Company’s product or service growth curve, changes in legal regulations impacting the company, etc. I like to see realistic budgets for accurate planning purposes, tempered with some challenge to management to grow the company. The term I like to use is “reasonably attainable stretch goals”. The frozen annual budget should be set with reasonably attainable stretch goals. Budgeting should start in the fourth quarter of a fiscal year. 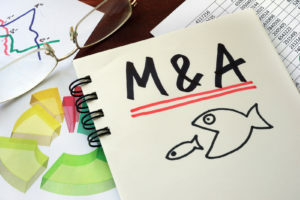 During that period there should be a halt on management’s taking on any new major financial commitments that would impact the upcoming year – unless of course the Board approves – prior to completing the year’s financial plans. 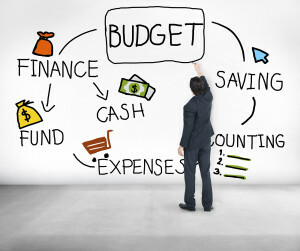 The Accounting staff should distribute budgeting templates for cost and profit center managers to use in preparing the upcoming year’s budgets. Those templates should include historical sales, cost and expense trend information. The budget line items should line up exactly with the line items in the company’s P&L or Variance reports for ease of monthly reporting. A budgeting schedule with submission deadlines should also be distributed and enforced by the senior management team that allows their review and revisions and submission to the Board for its approval before the start of the upcoming fiscal year. It would be unusual if a budget didn’t go through two or three iterations before it is finalized. 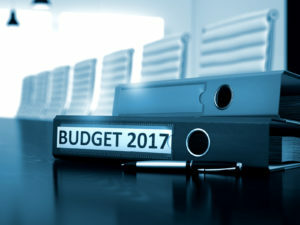 Once the budget is approved it should be uploaded to the Accounting system so that variance reporting can be automated. Variance review meetings should be held monthly as that allows management a maximum number of points to review progress against the profit plan and to take corrective actions to get things back on track, if necessary, to meet the Boards year-end profit expectations. Frozen annual budgets and monthly variance review disciplines are essential tools in helping to turnaround troubled companies. If your troubled company doesn’t utilize these tools, it is unlikely it has a chance of being turned around. Establishing and com-municating a simple, concise and clear strategic plan is essential to getting all parts of an organization moving in the right direction to achieve a company’s objectives. Many clients make such a big deal about strategic planning that they either never do it or they start down the path and get caught up in “paralysis by analysis”. Here is our Fast Track Approach to Strategic Planning. To start with you have to stop thinking of a strategic plan as some kind of esoteric and ephemeral tomb of a document. As an example of what it really is, think of strategic planning as how you would approach a game of Black Jack or 21 at a casino. If you sat down at a Black Jack table with no understanding of how to play the game, you’d certainly lose your shirt. Same as if you were in business with no understanding of how to play the business game that you’re competing in. You need to know the rules and how to use them to beat the competition. So, let’s assume you are a professional gambler in the business of playing Black Jack. Now, let’s do some strategic analysis to determine your plan to meet your objective of beating the dealer. In a game of 21 the objective is to beat the dealer by either getting closer to a point count of 21 without going over, or going bust, or by getting the dealer to go bust. Each card in the deck with a numerical value counts that as its point value. Face cards, (Jacks, Queens and Kings) also count as 10 points and Aces count as either 1 or 11 points. Out of a deck of 52 cards, more cards count as 10-point cards if you consider the four 10-spot cards and all the 12 face cards. That’s 16 cards out of 52. That means if you have 12 points or more in your hand, you should not draw another card as you have a greater chance of drawing a 10-point card and going bust at 22 points. Likewise, if you have less than 12 points you should draw another card. Say you have 11 points and draw a 10-point card, then you have 21. Great! The dealer on the other hand is required by the rules to keep drawing cards until there are at least 18 points in the dealer’s hand i.e., must draw on a soft 17 (a hand of 17 containing an ace being counted as 11). Given the number of 10 point cards in the deck, it seems better to make the dealer go bust drawing on up to 17 points rather than your risking going bust trying to get closer to 21. Draw cards until you have at least 12 points in your hand, then stop. It is a simple and concise strategy that can keep you on track even when distracted by all the machinations going on around you at a Black Jack table. If you had lots of professional gamblers on your payroll, you could easily communicate with them how you wanted them to play the game. 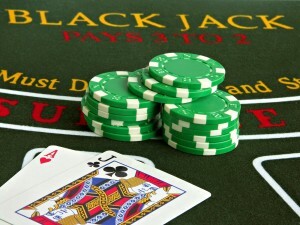 How does this Black Jack example translate to strategic planning for a business? Naturally the strategic analysis would be more involved than in the above example. When we looked at the rules of playing Black Jack, we were essentially looking at what limits or extends your ability to compete. The classic SWOT analysis (Strengths, Weaknesses, Opportunities, Threats) would need to be completed along with an internal financial analysis. In a real life business exercise, we’d be looking at administrative rules and regulations (existing and proposed changes) that can be either a threat or an opportunity. The same would be the case at looking at micro- and macro-economic trends. And, of course, we’d be looking at competitive forces, market preferences and your internal strengths and weaknesses. 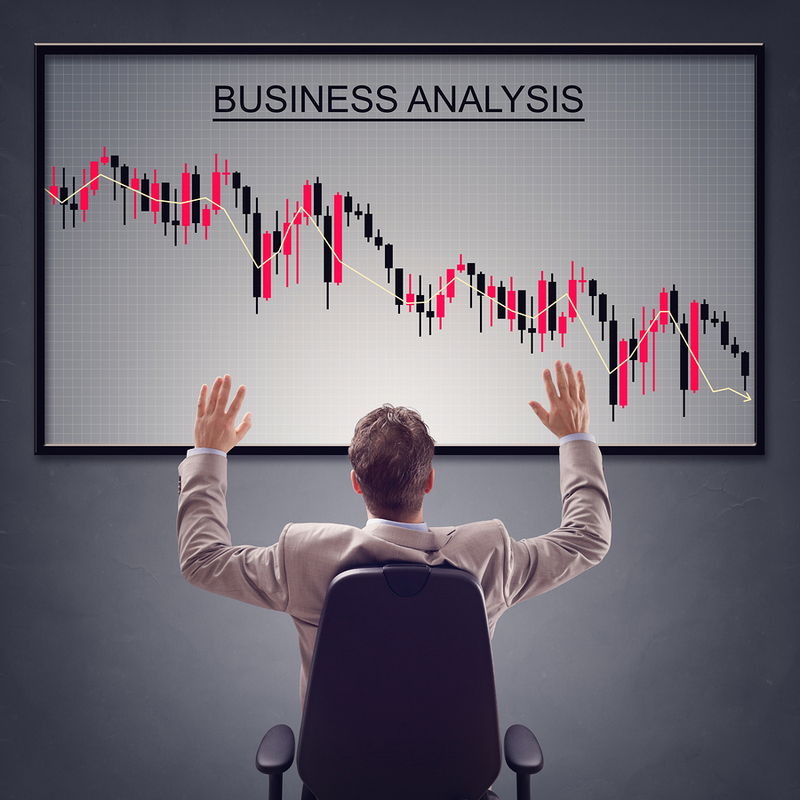 Once we have completed the strategic analysis, the strategy usually becomes obvious. It must then be communicated and implemented. The communication process also often gets too complicated with too much wordsmithing delays trying to write the perfect Vision, Mission and Values statements. The Vision statement speaks to what the organization wants to be known for either now or at some point in the future. The Mission statement provides more specific direction to the management team in terms of what business the company is in now, what it does and who it serves on its way towards achieving its Vision statement. The Values statement provides cultural guidance on behavior. In drafting these three statements CEOs often start thinking in terms of lofty personal legacy goals that no one can translate into how to do business on a day-to-day basis. We suggest starting out by keeping it simple in communicating these three statements. They can always be revised in a year after a company goes through another annual strategic planning cycle. Or, at the least draft one simple statement that clearly communicates the strategic plan in the simplest of terms. Remember the above Black Jack example. It doesn’t get any more simple or effective than that. You can always work on the three statements later. Our approach as described herein is of course a Starship Enterprise view of Strategic Planning. Certainly much more is involved. Nevertheless, if you make it more than it is, you’ll never get done and will most likely fail in the process. And now for the disclaimer. Don’t take the above example to a casino Black Jack table and hope to win. The house odds are against you. Don’t call us when you lose your shirt. But, do call us if we can help you with your Company’s strategic planning effort. In 1904 Vilfredo Pareto, a noted Italian economist, studied the concentration of wealth in Italy and other European countries and found that 80 percent of wealth was held by 20 percent of the population. That same distribution was later applied to operations management by management author Joseph Juran in the 1940s. This has now become known as the “Pareto Principle” or the “80/20 Rule”. In many instances the populations of many a company’s business transactions takes on the same 80/20 distribution; i.e., 20 percent make up 80 percent of the dollars. Applying the 80/20 Rule focuses management’s efforts on better controlling high-dollar transactions that have the greatest business risk while allowing for a streamlined process for the rest. I’ve been recommending and implementing the 80/20 Rule on process improvement projects for my clients for quite some time. This has resulted in strengthened controls while reducing management time and costs. This is especially important in the current environment where companies are facing increasing risk management and regulatory compliance costs. To demonstrate this concept, consider management controls surrounding, say, Purchasing transactions. A fairly simple analysis of the population of Purchasing transactions will bear out what Pareto taught us years ago; i.e., that 20 percent of the population of Purchasing transactions (POs) will represent 80 percent of the dollars spent by a company. Hence you can enhance management controls where you spend your money while reducing management time and costs where you do not. I once observed a CFO who signed all of his company’s POs regardless of their amount. That CFO had turned himself into a glorified admin who was, in effect, rubber stamping all POs in front of him each day because he simply could not review the volume of POs on his desk. It would have been far better if he reviewed only the top 20 percent of the POs using an 80/20 analysis. Then, he could have actually spent the time to understand those high-dollar POs. All he was really doing was bottle-necking and driving up the transaction processing costs of the entire Purchasing operation while rendering himself useless as a CFO. Here’s how to apply the Pareto Principle. Continuing with Purchasing transactions, list out all POs written over a sample period of time by downloading a listing of PO amounts to Excel. If taking a sample of only several months, you may want to adjust out or compensate for seasonality or business cycle differences. You should also exclude those types of purchases that are not necessarily pertinent to this type of analysis; e.g., electric utility bills. Then, add cumulative totaling and cumulative percentages to each row. It will soon become apparent where the 80/20 break point is located. Companies often set ridiculously low approval authority thresholds for senior executives and are often surprised at how high the thresholds would if they used an 80/20 analysis. Often there needs to be an adjustment in the dollar threshold downward to allow for management’s comfort level. Nevertheless, it is far better to better control those transactions where money is being spent than to waste senior management’s time controlling transactions where it is not. The Pareto Principle or the 80/20 rule can be applied to a wide variety of other types of transactions as well; e.g., check signing or cash disbursements and many other transaction control points. It can be used to better control risk management and compliance costs. In addition, it can be applied to focus customer service and business development to the 20 percent of the customers that represent 80 percent of the revenue. Hence, better management controls at reduced costs. All thanks to Vilfredo Pareto! 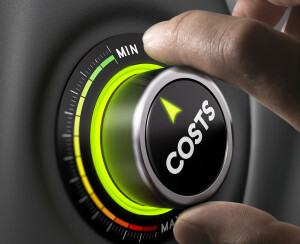 Cost reduction consulting is more an art form that involves a solid understanding of the process of change management. Along those lines, here is our top-ten list for ensuring a successful cost reduction effort. Obtain senior-level commitment. Without the CEO’s backing, don’t waste your time! That means that CEO needs to actively communicate interest, support and willingness to commit resources to the effort. Establish a sense of need and urgency. The CEO needs to establish the “burning platform” issue. This should be easy to communicate as in, “your job depends on the health and survivability of this company”. Create a guiding coalition. This is a cross functional team of managers headed up by a project sponsor who would be their direct manager. One thing to keep in mind when forming up this team, you want people on the team that don’t have the time to be on it, not those who do. Develop a shared vision and strategy. This is a subtle but an important first step in establishing a “touch stone” against which all resulting improvement opportunities will be measured against. If a recommendation doesn’t fit in with the shared vision and strategy, don’t waste too much time with it. Communicate the change vision. It is important to establish a project communication program early on. If the project leadership doesn’t communicate where they are headed, how can anyone down the line be expected to follow? Empower employees for broad based action. The team must be empowered to be able to take broad based action. If the project team doesn’t believe they have the power to change the status quo, they won’t. Generate short-term wins. Quick Hits are the key to overcoming initial project inertia. Find lots of Quick Hits and implement the low hanging fruit quickly. Nothing breeds success like early success. Consolidate gains and procure more change. Once momentum is achieved through lots of Quick Hits early on, the project team will be psyched up. Now is the time to undertake the more challenging projects that will result in greater paybacks. Go for it! Anchor new approaches in the culture. Once most of the project results have been achieved, don’t stop now. Keep the project teams intact and focused. You have a chance to keep it going and anchor change management into the culture. Hire the right consultant to guide the process. Although this may seem self-serving, there is much to be said for having an independent professional driving this type of process. For one thing, a consultant will bring fresh ideas and a willingness to challenge “sacred cows”. And, there is much cost to be wrung out of those cows! In addition, change management is something that requires a good deal of neutral meeting facilitation skills. And, it’s always easier to challenge the status quo when you know you’re leaving after a project is over. Follow this link for a detailed description of our Fast Track Approach to Cost Reduction Projects: FTG-Approach-to-Cost-Reduction or call us on 917-267-7685. In Turnarounds Cash Is King!!! Cash Management is key to survival for any a troubled company. In fact, by its very definition a troubled company is troubled because it lacks cash — though the reasons for that can be many. It is said that “a rising tide floats all boats”. In the military they say, “amateurs talk strategy, professionals talk logistics”. In turnaround situations my favorite saying is “cash is king”. One management report that is a particularly important in turnarounds is the “Cash Requirements Forecast”. This is a relatively simple report to prepare and one that provides senior management with a sound early warning tool to identify an impending cash shortfall. It can be used by companies of any size, in any industry and even by not-for-profits. Yet I am always astounded when I come across a new client company with an Accounting team that does not prepare this report. I was once an interim CFO for a software development company. It licensed its software on a 90-day site license basis. For some quirk in the timing of the original sales of these licenses, most of the revenue was booked and collected in the first of a three-month cash flow cycle. When I began consulting to this client, they had no spending discipline whatsoever so by the third month of each quarter they were sputtering along on cash reserves barely able to make payroll. I implemented a daily Cash Requirements Forecast report. Every day I would have it updated and reviewed with the CEO to determine how we were going to collect Accounts Receivable faster, defer discretionary spending or work with vendors when necessary to delay Accounts Payable payments. That was a key report to keeping that company afloat. The periodicity or frequency that such a report is updated and issued (i.e., the columns shown in the following example) could be monthly, weekly or daily depending on the severity of the circumstances. It should go out at least as far as one cash flow cycle; i.e., possibly ranging from surplus to deficit back to surplus. In the example of the software company, I prepared this report on a daily basis for the current month and took it out for two more months on a weekly basis to coincide with their three-month cash flow cycle, then on a monthly basis for a rolling 12 months. I’ve seen real estate developers prepare monthly reports that went out as far as five years to cover an anticipated real estate development project or development life cycle (of course we all know that the farther out it goes the less accurate it will be). More likely it would be prepared on a daily basis for the current month and then weekly or monthly for a period going out, say, for a rolling 12-month period. Figure 1 following presents a very high-level “Star Ship Enterprise” view of what this report looks like. Financing available will usually take the form of a bank line of credit or in the case of private companies untapped capital calls available from, say, a group of private investors or partners. In an LLC this will probably be described in the operating agreement. Those should be shown separately as sources of cash that can be drawn down or repaid. Naturally, a Treasurer or CFO preparing this report will also prepare a number of supporting schedules to refine and ensure the accuracy of the various receipts or disbursement estimates. That might include an aged Accounts Receivable trial balance to determine the timing of forecasted collections and an aged Accounts Payable trial balance to determine the timing of payments to vendors. Regardless of the added work that goes into refining the estimates, it would be inexcusable for a troubled company to try to manage without such a report. Senior management and the Board should insist on seeing that a Cash Requirements Forecast is used to ensure that potential cash shortfalls are identified early on while action can still be taken to mitigate those risks. © 2016 The Fast Track Group, LLC. 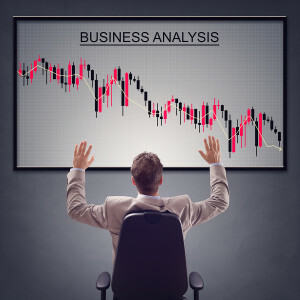 Most troubled companies are distressed because of a lack of ongoing market analysis, business planning and execution, a failure to adopt to change and a management team that may be in denial. Having worked as a consultant with a number of troubled companies, I’ve developed my list of action steps to Fast Track getting to an operating plan that can determine if a company can be turned around and, if so, to Fast Track a return to positive cash flow. 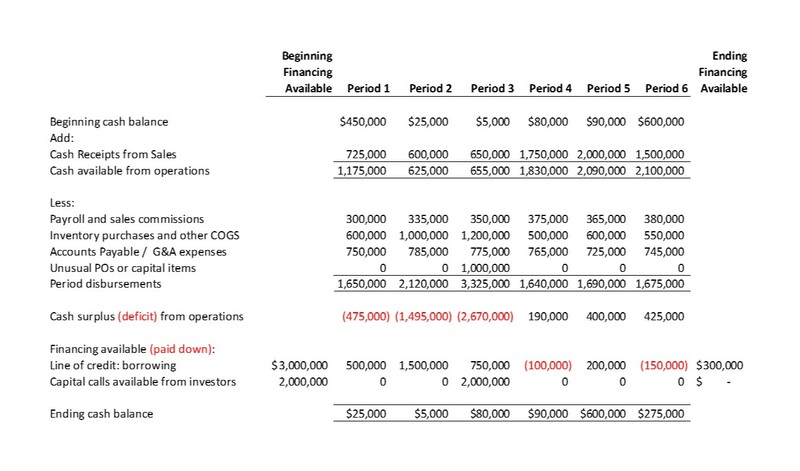 This is from an operational perspective as compared with a financial restructuring perspective. After all, if a company’s cash flow cannot be stabilized operationally, it may not be a candidate for a financial restructuring. Conversely, a company that has a sound operational turnaround plan could be attractive to investors or lenders. 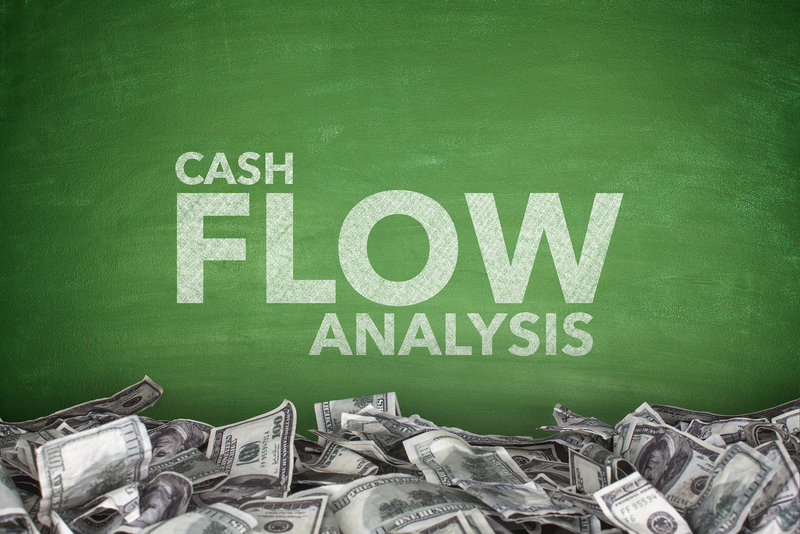 With that in mind, our action steps are oriented towards stabilizing a company’s cash flow. Determine if the business segments still make sense. Look at the various segments of the business and determine which represent the core profitable business versus non-essential or unprofitable business segments. Non-essential and unprofitable business lines or offices cause management to lose focus while draining off cash resources. Those business lines or offices should be jettisoned quickly. Review and revise the business strategy. Once you can focus on the remaining business segments review, revise and establish the strategic plan. Focus specifically on how the company goes to market to sell its goods or services by devising a data-inspired and capital-efficient strategy. Strategic planning is 90 percent perspiration and 10 percent inspiration. The strategic planning process starts with a great deal of market data analysis such as macroeconomic trend analysis, customer surveys, even internal surveys; i.e. the perspiration. Good data analysis leads to strategic inspiration. I’ve never met a good CEO who wasn’t data-driven in understanding the external factors that drives his or her business and didn’t take the pulse of those drivers on a continuous basis. The best CEOs are constantly working on their strategic plan and adapting to changing conditions. Assess the management team and the executive compensation structure. Let’s face it, some managers are good in stable situations but not with managing the change required in most turnarounds. Each member of the management team should be assessed for the contribution that he or she can make towards turning the company around, not the contribution made when the company was doing well. That should lead to an organizational realignment to make the best use of the talent pool. And, within the context of a turnaround situation, large base salaries are unacceptable. The management team’s compensation should reflect their confidence in turning around the business with a performance-based bonus that allows them to earn a greater amount of total opportunity dollars if they succeed. If the company and the investors do well, the management team should do well too. In that way everyone’s risk and reward profiles are aligned. Assess and right-size the business platform. The business platform will need to be rationalized anew from the perspective of the revised business segments and strategic plan. If business lines or offices are being closed to better focus on core profitable businesses, there should be opportunities to reduce the business platform footprint or fixed costs. As a starting point, the breakeven point of the company should be analyzed and reduced to the maximum extent possible. This may mean automating, outsourcing or eliminating business processes. This is one of the most difficult tasks to undertake and usually best done by someone emotionally detached from the company; e.g., a turnaround consultant. Forecast year-end cash results and establish monthly accountabilities. With turnarounds my favorite saying is “Cash is King”. I find myself constantly forecasting year-end cash results. Every idea for change is weighed against a cash flow forecast model I have built for that company. Either it has to improve the cash flow or the idea is discarded. The monthly forecasts are then compared to monthly actual results, holding people accountable for meeting the forecast. The forecast year-end cash results are constantly updated and communicated to the directors or lead investor. It’s important for them to know if they are going to have to raise capital or, hopefully, enjoy a cash surplus. Communicate honestly and often. Many CEOs simply can’t admit failure for fear of a loss of confidence by the people they lead or with their investors. Or, they are in a state of denial hoping things will come back on its own. They try to put a good game face on every day – fooling no one. The management team has probably already lost credibility with those who sense the real situation. Honesty is required when dealing with everyone from vendors, to creditors to employees. Credibility and trust must be earned every day. Never promise what you can’t deliver and always deliver what you promise. Once vendors, creditors and other stakeholders have regained a degree of trust, they will work with the company to help it get back on its feet. After all, it’s in their best interest to support the survival of the company. Communications with all stakeholders should occur often. No surprises should be the theme. Keep them in the loop at all times. They will cut more slack if they know what’s going on. Partner with the Accounting department. The CFO and the accounting staff are going to be key resources in any turnaround situation. There will be an increased need for special analyses and a heightened focus on controls. There is always the chance that someone will be tempted to cut expenses within the Accounting department – after all they are not viewed as revenue producers. Resist that effort. In fact, that department may need to be beefed up to support the turnaround efforts. Make sure everyone in the Accounting department feels appreciated. They will be the ones working late on decision-support analyses that will help guide the path forward. Involve the HR Director and General Counsel. Turnaround situations often involve some layoffs as overhead is reduced. It is important to make sure the rights of all parties are protected while not creating legal liability burdens on an already financially stressed company. Conversely, there may be a need to retain certain key employees. The HR Director and GC could be helpful in coming up with retention bonuses and contracts to ensure those people are kept in place. The HR Director and General Counsel should be brought into the conversation early on to help with both of these issues. Consult Subject Matter Experts when needed. No one has a depth of expertise in every area. Sometimes a limited scope and duration consultation with a Subject Matter Expert is required and can save time and set the right direction. For example, if establishing a performance-based executive compensation program, a one or two-day consultation with an Executive Compensation Consultant can be hugely value-added as compared with a failed rollout. The same is true with technical IT matters. It’s one thing to set high-level system architecture direction that defines the business needs, it’s another to try to play the role of software engineer. Be mindful of the investors’ risk appetite. It is important to understand the investors’ appetite for risk in a troubled-company situation. Are they willing to fund an endless stream of capital calls or have they reached the end of the line? If after all the foregoing steps are taken and there are no good long-term prospects, then the directors or lead investor should consider other alternatives, such as a pre-packaged Chapter 11 if the company has a viable future or a strategic sale if not. Often it’s either that or the Chinese water torture of throwing good money after bad so it’s best to face up to the facts quickly and move on with implementing any resulting decisions. On the other hand, if the above action steps result in an executable plan that has promise but the company needs funding to move forward, then consider step 9 from above and engage an investment banking firm to help raise capital. Troubled mid-size companies often need to augment their existing Accounting Manager or Controller with a more heavily experienced interim CFO to guide them through a financial crisis. In such times, the new interim CFO’s learning curve is steep and needs to be Fast Tracked. Here are our top-ten action steps to Fast Track that in-bound transition. Gain an understanding of the accounting department. As the saying goes, “You go to war with the Army you have, not the Army you wish you had.” Therefore, one of the first tasks for any incoming interim CFO would be to meet with as many people in the Accounting department as possible. The objective of each meeting would be to: (1) to put people at ease; (2) to gain an understanding of their backgrounds and skills; and (3) to instill or reinforce the proper ethical “tone from the top” behavior. Gain an understanding of the payroll process. Payroll is the number one mission critical process in any company. It has to be 100 percent correct, 100 percent on time, 100 percent of the time. The new interim CFO should get a hands-on understanding of how it works, sitting with the Payroll Manager and clerks and mapping out the process, especially how Payroll is funded and what the CFO’s role is in making that funding happen each pay period and how payroll taxes are paid. Determine where cash is coming from. 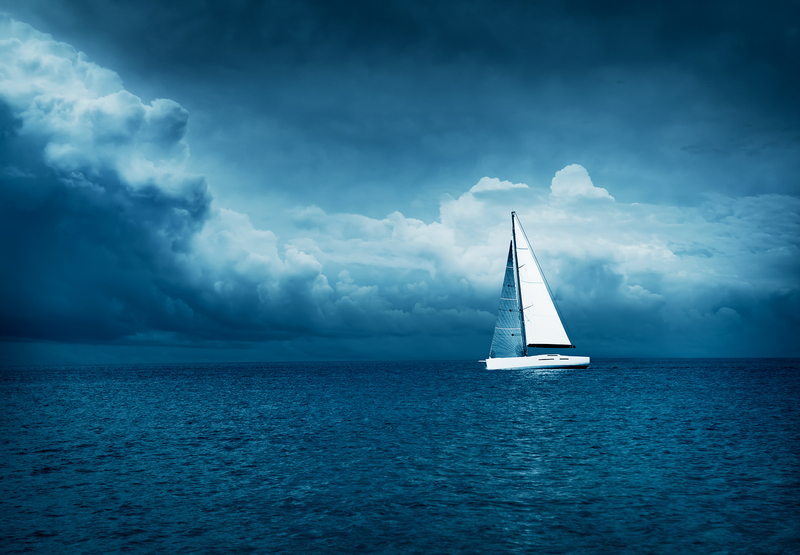 Keeping funds flowing is key to keeping a troubled company afloat. To gain an understanding of the cash inflows, the new interim CFO should obtain a list of all customers sorted in descending revenue order as well as an Aged Accounts Receivable Trial Balance. Meet with the sales group, get a handle on customer retention probabilities (for forecast purposes) and payment terms. Not all customers pay on a monthly or 30-day basis. For example, some licensing agreements call for payments each quarter. In another example, it is common for certain industries (e.g., not for profits) to string vendor payments out to 60-90 days. In addition to understanding cash inflows from customers, the new interim CFO will need to understand where the company stands on its availability to tap into credit lines when necessary. Determine where cash is going to. The other side of the coin is to understand where cash goes. The new interim CFO should start by looking at an Aged Accounts Payable Trial Balance. Speak with the Purchasing people. Find out which vendors are key suppliers, and if there are any large purchase commitments hanging out there. During difficult times, those key suppliers might be more flexible in negotiating longer payment terms rather than losing a key customer. Determine who has the relationships with those vendors and have them open up discussions to attempt to obtain more flexible payment terms. Identify outstanding tax issues. In troubled company situations I hate surprises and surprise tax issues are usually lurking in any troubled company. Most likely they will pertain to audits or unpaid operating taxes, including sales tax and payroll taxes as compared with income taxes – since there probably is no income. 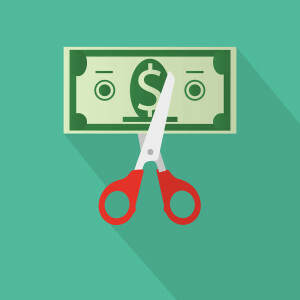 Unwinding operating tax issues can take significant amount of time and may result in settlement payments that drain company resources. Nevertheless, it is something an interim CFO will need to identify and begin to address early on. Tax authorities are more willing to work with troubled companies on developing payoff schedules rather than causing massive layoffs. They may even be willing to forego a certain portion of the debt if the Company is working with them in good faith. By the way, debt forgiveness may give rise to a taxable event. Something the interim CFO should be aware of. Gain an understanding of the accounting software environment. The new interim CFO will need to gain an understanding of the Accounting software environment early on. The interim CFO may not actually produce special reports, but will need to know what is available in the system and how to ask someone to get at it for special analysis purposes. Strengthen internal controls. Coming in as an interim CFO provides a good opportunity to look at the existing internal controls with a fresh perspective toward strengthening the controls during the interim tenure. Consider that during distressed times, there is more impetus for theft and fraud. The interim CFO needs to be especially diligent that none of that occurs on his or her watch. Analyze the Balance Sheet accounts. The single most important part of turning a troubled company around is to get a true financial picture of the situation. Prior to an interim CFO’s entrée, management may have been hiding losses and those losses might be hidden in obscure Balance Sheet accrual accounts, particularly as credits. The risk of this occurring may be higher in private companies and those with a regional business unit structure with local accounting groups. Unwinding hidden losses is completely necessary for the Board and management to come to grips with reality. Therefore, Balance Sheet account analysis becomes a high priority early on – not just for the year-end audit. Reforecast the financial picture going forward. While the Balance Sheet account analysis will provide a better picture of the current financial position, it will also be necessary to reforecast the P&L going forward based on realistic assumptions. In our experience, management usually prepares unrealistically positive forecasts with an optimistic disbelief that the troubles will be long or deep. Sometimes they are simply in a state of denial. Therefore, it will be entirely necessary for the interim CFO to prepare a financial reforecast that uses realistic assumptions – and it usually takes an outsider with a fresh perspective to do that. At this point, it will also be necessary to prepare a Cash Requirements Forecast. Reach out to bankers and other sources of capital. Once the interim CFO has obtained a clear picture of the situation from steps 1 through 9 above, then and only then should contact be attempted with bankers and other sources of capital. It is important for the interim CFO to establish credibility with these financial stakeholders and that is why the initial contact should be delayed until he or she has a better picture of the financial situation. Furthermore, at that point better knowledge of the situation will dictate the discussion of additional capital fund raising requirements or covenant compliance waivers with these financial stakeholders. © 2016, The Fast Track Group, LLC. While you might think that will not apply to private companies, think again. Just like with Sarbanes-Oxley, private companies that have public company investors or lenders, as well as investment advisors and fiduciaries may well have to demonstrate their risk management procedures and show their documentation to auditors and their financial stakeholders. In addition, risk management does not apply only to financial institutions. While much has happened in the financial markets in this past year to evidence that many financial institutions ignored risk management, it applies equally to Real Estate companies, Manufacturing companies, Consumer Products companies, etc. We have had significant and recent experience assisting clients to design, implement and document risk management processes. Here are our top-ten steps to establishing risk management. 1. Ensure Senior-Level Commitment to Risk Management. With all that has happened in this current economy, it should be obvious that many companies now on the ropes simply did not have their eye on risk management. Many Board members increasingly concerned with director liability issues will be pushing hard for strengthening their risk management processes. Ensuring senior-level commitment for risk management should be a given; however, it is a fundamental necessity for anyone involved in establishing or maintaining risk management procedures. 2. Determine the Board’s “Strategic Appetite” For Risk. Consider the Lehman Brothers or AIG Boards of, say, several years ago. Their strategies were to get into derivative instruments, taking on huge amounts of risk with what they thought were reasonable rewards. At the end of the day, it seems that they were not paid for the risks they took on given the ultimate consequences. Fast forward and ask yourself, if you were a member of either of those Boards today, would you have the same appetite for the risks they took given the same rewards? Probably not. That is a simple example of what we mean by determining the Board’s strategic appetite for risk. It’s OK to take on risk, as long as you know what the risks are and are fairly compensated. Boards in the past did not. Boards in the future will need to be more mindful of their strategic appetite for risk. 3. Identify the Risks To Be Managed. There are several methods for identifying risk, including: interviewing key involved department heads; sending out questionnaires; etc. The method we have found most efficient and complete is to get a cross-functional group of key executives all in a room at the same time and focus on one aspect of the overall business in a facilitated brainstorming workshop environment. Then repeat that workshop for another overall aspect of the business until all processes have been completed. We find that the interchange of discussion among the key players provides a more fertile process for identifying risk that sitting with one key person one-on-one in their office. One important aspect to facilitating a risk identification meeting is that everyone’s ideas are important no matter how “out there”, especially when identifying potential risks. I once attended a risk management seminar and one of the speakers was going on about the importance of planning for pandemic risks such as what we are witnessing with the Swine Flu. Many people I know would probably have considered discussing such a risk to be a waste of time. No longer. The lesson to be learned from that is to be receptive to identifying a wide range new ideas concerning potential risks, not just the obvious ones. 4. Prioritize the Risks Identified. Once the risks for an area have been identified, and in the same meeting, prioritize those risks into categories of High, Medium and Low with respect to Probability of Occurrence. In addition, create categories of financial impacts should the risk actually occur. In that way, the higher and more costly risks can be prioritized for process redesign and presented in a color-coded format similar to the table that follows. 5. Design the Baseline Risk Management Processes. Once the risks are identified and prioritized, baseline business processes can be designed to mitigate those risks. By “baseline” processes, we mean the processes for the core or largest components of the business with an emphasis at “normalizing” or standardizing the processes across as many of the core business units as possible. This is especially important in a business that has grown through acquisition or where there are many offices or business units all “doing their own thing”. In contrast, sound risk management processes require as high a level of procedural standardization as possible. 6. Adjust the Baseline Processes For Business-Unit Operating Differences. Once the baseline risk management processes are designed, they may need to be adjusted for legitimate business-unit operating differences. By that we mean differences resulting from, say, operating in different countries with different laws and business practices or unavoidable differences between dissimilar business units that preclude strict standardization. We call those “hard differences” because they are hard to overcome through standardization as compared with “soft differences” which are simply internal differences such as nomenclature or internal processes that vary from country to country or office to office that could more easily be standardized. 7. Document All Risk Management Processes. Process documentation will be necessary for training, to ensure ongoing compliance and to demonstrate to outside auditors and possibly even investors the procedural framework for the risk management processes that have been implemented. We have developed our own very efficient approach for documenting risk management processes. For more information on that, please visit our web site page, “Process Documentation” at FTG Approach to Process Documentation. There you can follow a link to our white paper, “The Fast Track Approach to Process Documentation”. 8. Implement IT Toolsets To Support Risk Management Processes. If risk management processes are to be durable and efficient, they need to automated and supported by IT toolsets that make their compliance routine and mandatory. For example, in a transactional compliance monitoring area, one would expect to see automated e-mail ticklers and automated reporting to highlight procedural compliance issues prior to actually funding a new transaction. Any procedural non-compliance would automatically prevent funding. 9. Conduct Training. I have seen more issues of non-compliance excused because of a lack of proper training. Moreover, I have heard something similar to the following many times over, “We didn’t train our people in these new procedures so it’s not really their fault that they are not in compliance.” If there is going to be a serious effort at implementing risk management procedures, there needs to be an equally serious effort at training. That should include some measure of testing to ensure that people demonstrate that they know what is expected of them and that the training was successful in communicating compliance expectations. 10. Monitor Compliance. Compliance monitoring starts early-on after implementation with a walk through to ensure that the risk management procedures are functioning as they were documented and as expected. That should be performed by someone or a group independent from the business unit being reviewed and by someone or a group competent at doing walkthroughs and transactional testing and preparing written deficiency reports. Typically an internal audit group that has done internal controls or Sarbanes-Oxley walkthroughs would have the skills to perform such risk management walkthroughs and to write-up deficiencies. Those deficiency write-ups should be reported to the Board – and that step alone really gets everyone’s attention and gets them on the compliance bandwagon. If the current economic environment has taught us any lessons, one should be that risk management is not a luxury to be practiced only by high-minded Best-In-Class companies. It also appears likely that risk management standards may soon become a government-mandated set of regulations codified similar to Sarbanes-Oxley – only broader in scope beyond just financial reporting risk. © 2016. The Fast Track Group, LLC. All Rights Reserved. [i]Dvorak, Phred and Scannell, Kara. “Investors, Take Note: New Bill to Target Boards, ‘Say on Pay'”. The Wall Street Journal. 25 April 2009.